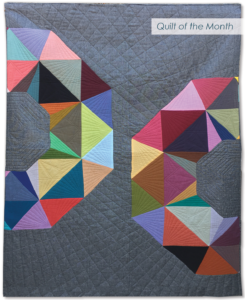 Have you seen the June Modern Quilt Guild Block of the Month? 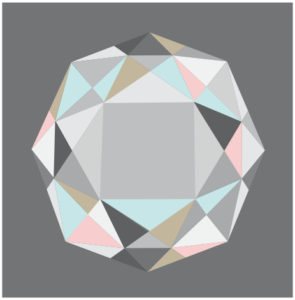 It’s called Diamond in the Rough by our very own Christine Ricks. Click here for the block and paper piecing lessons. To top it off, Christine also designed the June Quilt of the Month called Halfervecent! Click here for pattern details. 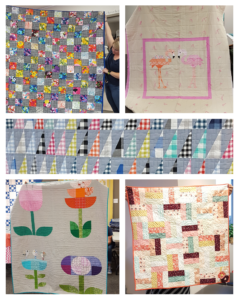 SLMQG member Barbie Mills (The Quilting Mill) did all the amazing quilting. Check out her instagram feed here for more pictures. 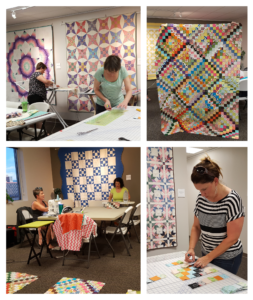 Thank you to everyone who came out last month and helped us stitch up some charity quilt blocks! We managed to sew together one quilt top from previously completed blocks and sew together more than a dozen scrappy trip blocks. If you missed out or want to make more, we will have fabric strip sets ready to sew together at our next Saturday Sew (July 8th) or you can make them on your own and bring to a future meeting (see below for more information on how to make the blocks). We also had a fun show and tell. Don’t forget – next month we have our annual fabric dyeing event on Saturday July 29th, which will replace our typical July meeting. That means NO meeting Thursday, July 20th. Instead, mark your calendars for Saturday, July 29th. More details to come on our Facebook events page. 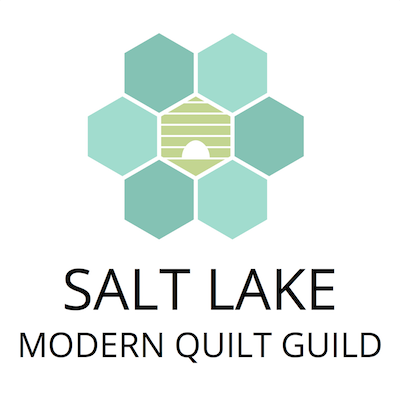 Next Guild Meeting – Saturday, July 29th Annual Fabric Dyeing. More details soon on our Facebook events page. Next Saturday Sew Day – Saturday, July 8th from 10-3pm at Pine Needles (1100 W 7800 S #29, West Jordan, UT 84088). We will have charity strip blocks ready for you to sew, or bring a UFO, start something new, and get inspired! Las Vegas MQG + SLMQG Mini Swap – Early fall. Let us know if you would like to participate. 2017 SLMQG Retreat – It’s going to happen this year! Mark your calendar: September 14-16, 2017, Bear Lake. The retreat is open to all SLMQG members. Join us for a stitchin-fun time! Click here for more information and to sign up.